The pressure is ramping up on President Obama to intervene in the Dakota Access Pipeline. For example, I recently received an email from MoveOn.org urging me to call the President: “President Obama has the power to stop the pipeline and deny the Army Corps of Engineers’ easement on our land. He must take action immediately. Will you call President Obama now?” the email asked. But at this point in the process, does the President have that power? What is the President’s appropriate role? It’s more complicated than it seems on the surface. For the sake of argument, let’s consider a situation with the hypothetical Minnesota Access Pipeline (MAPL). Let’s say the project that has been in the works for years and its June, 2017. After a lengthy review, the U.S. Army Corps of Engineers denies the permit. 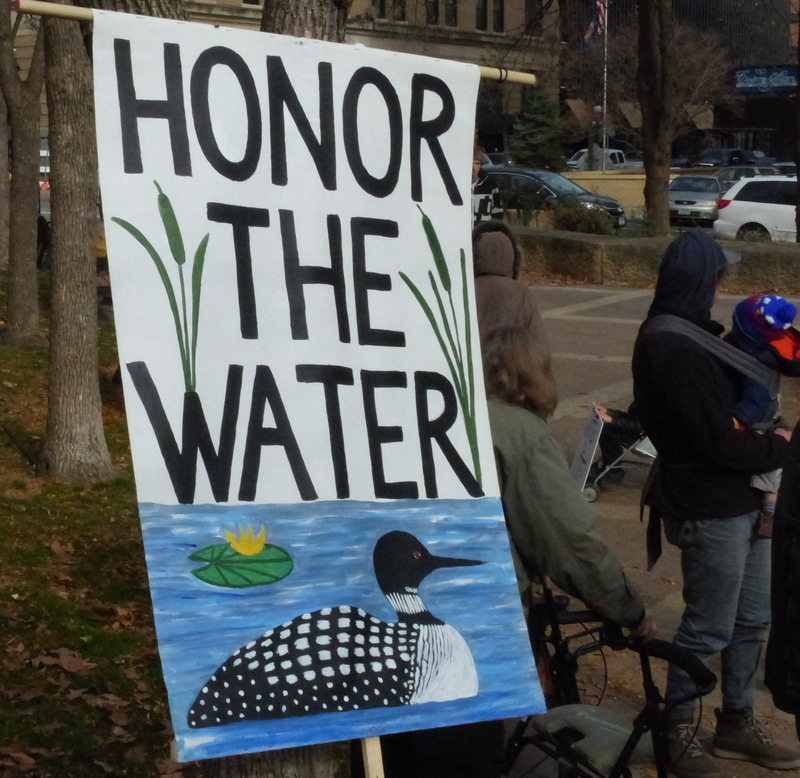 It says the project threatens Minnesota’s fresh water and important wild rice beds. The Corps’ decision is a great relief to many in the environmental and Native Rights movements. Continuing with our hypothetical example, it is fair to assume that the fossil fuel industry and others would start pressing President Trump to intervene and overrule the Corps’ decision. Would that be an appropriate use of Trump’s Presidential power? If President Obama intervenes at this late stage in DAPL, what precedent would it set for President Trump? High Country News ran a helpful article Thursday that elaborates on these questions. It was headlined: What Obama can actually do about Standing Rock: According to tribal law experts, not much. The writer interviewed three tribal law experts. including Kevin Washburn, a professor of Indian law at the University of New Mexico and Obama’s Assistant Secretary for Indian Affairs from 2012 to 2015. Washburn said had Obama known sooner about concerns that the pipeline would threaten drinking water, he could have moved to stop it, as he did with Keystone XL. “It’s heartbreaking,” Washburn said. With the review process nearly complete, however, the decision is in the hands of the Army Corps — not the White House. This process is set up to avoid arbitrary or purely political action by the president. Sarah Krakoff, an Indian law professor at the University of Colorado, also was interviewed and offered a caveat. She said the President might have grounds to step in if the Army Corps used a faulty permitting process. For more, read the full story.